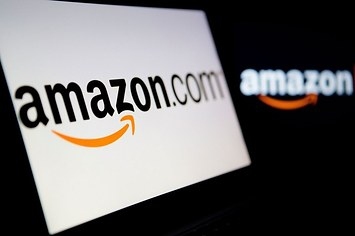 If you’re shopping for a bargain online, one of the first places to look is Amazon.com. But beware: Not everything that appears to be a great deal at Amazon is such and, just as in the offline world, it pays to consider the details. Here are 6 great tips to keep in mind the next time you’re navigating the virtual aisles at Amazon. Look for what you want in the bargain bins, found through a link named “Today’s Deals” at the top of every Amazon page. On the Today’s Deals landing page, you’ll find the Best Deals section loaded with bargains in every category, the Lightning Deals section with time-sensitive sales—lasting four hours or until the item is sold out—on products from a specific category like automotive or electronics, and a Deal of the Day discount of up to 75 percent off a single item that changes daily. On Fridays, find one-day discounts on even more products by clicking on the Friday Sale link at the top of the Today’s Deal’s page, where it’s adjacent to two more links worth using: those to Amazon’s Outlet Center and Warehouse Deals pages. Don’t assume that any of the prices are the lowest available anywhere, especially if the seller is a third-party store. We’ve seen stores on Amazon sell products for as much as twice the retail price, often for products that are outdated or even obsolete. Check other retailers’ prices, and prices at specialty websites—Best Buy for electronics or Home Depot for tools, for example. If it is a hard-to-find item and you really MUST have it at any price, go ahead—at least you’re making an educated choice. If you find an item at Amazon and you’re hoping the price will fall later, consider BuyLater. It’s an extension for Firefox, Chrome and Safari web browsers that adds a “Buy This Later” button to Amazon pages and, after you click it, sends you an email when the price changes. Look carefully at who is selling and who is shipping the item you want. An item may be shipped by Amazon on behalf of another seller with a returns or exchange policy that is different from Amazon’s—and not to your liking. Items that are both sold and shipped by Amazon will be tagged as eligible for “Super Saver Shipping” or for free shipping via “Amazon Prime” (a pre-paid premium membership plan). And check out a seller’s feedback rating before buying. If it has very few reviews or a satisfaction rating less than 90%, you may want to take your business elsewhere. Super Saver shipping is available only if the total value of everything you’re buying at once is $25 or more—but being just shy of that minimum can push the cost with shipping charges past the price of the item elsewhere. In this case, check out filleritem.com. It’s a website that specializes in finding items on Amazon priced at exactly the amount you need—or slightly higher—to bring your order to $25.